Home / Market Insight, Financial Articles / Gadgets, Smartphones & Tech / Can Spotify Survive This $1.6 Billion Music Publisher Lawsuit? Can Spotify Survive This $1.6 Billion Music Publisher Lawsuit? Spotify continues to outpace Apple Inc.’s (NASDAQ:AAPL) Apple Music in the battle for streaming music dominance. But as Spotify gets closer to launching its expected IPO, it has hit a major bump in the road. The bad news isn’t about subscribers, it’s about the music it streams. 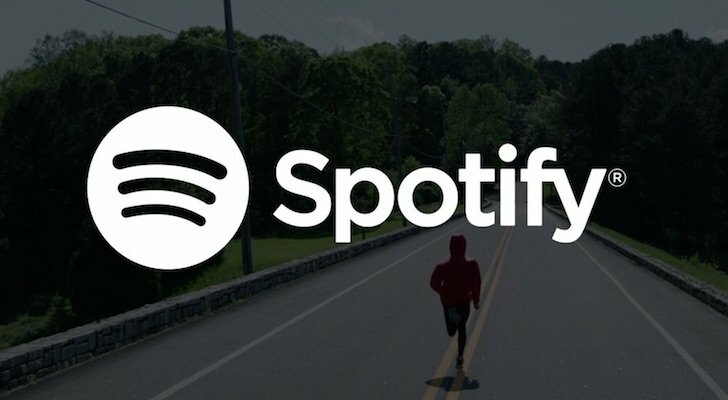 Spotify is being sued by Wixen Music Publishing, claiming the company has been using thousands of songs from artists it represents, without a license. The Spotify lawsuit is claiming damages of $1.6 billion, in a move that could jeopardize the timing of any Spotify IPO. The lawsuit also exposes the sometimes shaky foundation streaming music services are built upon due to the tangled web of copyright holders involved in the music industry. AAPL stock is up over 1.7%, but if it were Apple Music in the publisher’s sights this time instead of Spotify, that wouldn’t be the case. In its Spotify lawsuit filed on Dec. 29, Wixen Music Publishing is seeking compensation on behalf of its client musicians. Wixen says Spotify has been streaming their music without a license or payment. Wixen is seeking at least $1.6 billion in compensation, plus injunctive relief in the Spotify lawsuit, which could mean yanking those 10,000+ songs from Spotify until a settlement was reached. And then paying royalties going forward. In August, Spotify announced that it had renewed its licensing deal with Warner Music Group, meaning the streaming music service had agreements in place with the big three major music labels. That sounds as though the bases would be covered, but the latest Spotify lawsuit is based on “mechanical licenses.” The music labels are the major hurdle in terms of copyright, but there’s another player involved: the songwriters who receive royalties for distributing music they composed. Their rights are often represented by a music publisher — like Wixen. And Spotify has apparently failed to attain the mechanical licenses for over 10,000 songs from songwriters represented by Wixen, including Kenny Rogers, Neil Young, Stevie Nicks and the late Tom Petty. As mentioned, this is just the latest copyright lawsuit to hit Spotify. In May, the company attempted to settle with many of the same artists, offering $43 million in compensation. And Spotify isn’t the only one being hit. Significantly smaller claims — but based on the same mechanical license issue — have been filed against Apple Music and Alphabet Inc’s (NASDAQ:GOOG, NASDAQ:GOOGL) Google Play Music over the past year. A big part of the problem with mechanical licenses is that it can be difficult to track down the copyright holders. When negotiating with the music labels, there are just a few companies to deal with. With mechanical licenses, there can be thousands of individuals. Determining who actually owns the publishing rights to a song and tracking them down can be a convoluted process and third-party agents are often employed to handle the legwork. Spotify is being sued by a publisher that represents many popular artists, so that argument is tougher to make, but the reality is that it’s often up to the rights holders to chase after streaming services to get what’s owed. Spotify did make a gesture after the earlier lawsuits, announcing a Secret Genius program “celebrating” songwriters. However, that isn’t the same as actually identifying and paying the songwriters for each of the 30+ million tracks on the streaming music service. At $1.6 billion, the Spotify lawsuit is a big one and as noted by Billboard, it may mark a point where music licensing rules are reformed significantly for the first time in decades. How this plays out could have a major impact on the music streaming industry. The Spotify IPO may once again be on hold until it’s dealt with. And while the amount of money involved in settling ongoing mechanical licensing claims wouldn’t move the needle on AAPL stock, it could certainly affect the profitability of Apple Music by adding to the operating costs for Apple. Article printed from InvestorPlace Media, https://investorplace.com/2018/01/can-spotify-survive-this-1-6-billion-music-publisher-lawsuit/.